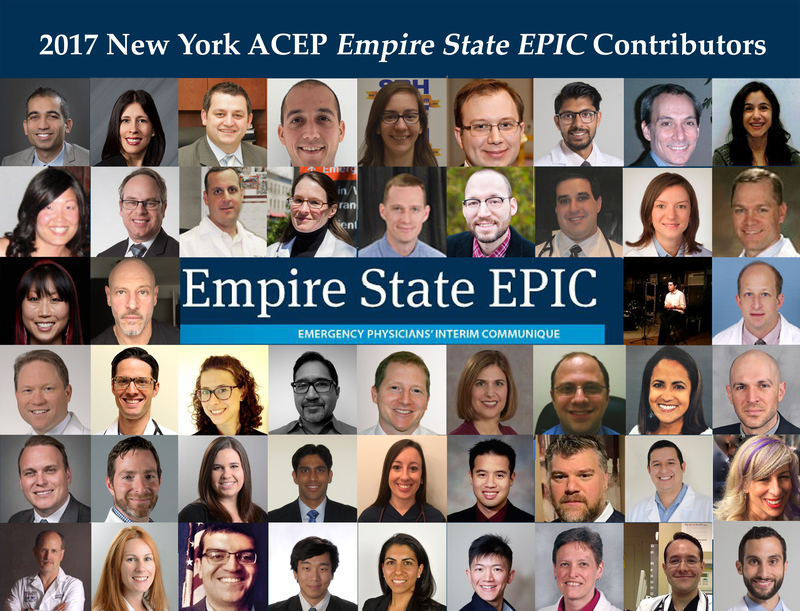 Empire State EPIC is the newsletter of the New York American College of Emergency Physicians. The opinions expressed in this newsletter are not necessarily those of New York ACEP. New York ACEP makes a good faith effort to ascertain that contributors are experts in their field. Readers are advised that the statements and opinions expressed by the author are those of the author and New York ACEP does not accept responsibility for information or statements made by contributing authors. The EPIC is published quarterly with publication dates in February, May, August and November. Click here for information on newsletter advertising.